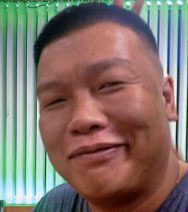 Lam, Goak Lang, Jimmy, 35, died suddenly Sunday, 8/9/2015 at home. Born in Taishan, China he imigrated to the United States shortly after birth and became a United States Citizen as a teenager. He was a son of the late Chan Woon Lam and Kan Gon Lee of Cranston. Mr. Lam was a graduate of the former Katherine Gibbs College where he graduated in 2005 and was a self-employed IT contractor. Besides his mother he leaves a brother Till Lang Lam of Taishan, China, and two sisters Linda L. Xie and Anna S. Wu both of Cranston. His life will be celebrated with calling hours Friday morning from 8:30am to 10:00am. Burial will be in Pawtuxet Memorial Park, Warwick.